Its been a while since i've had a splurge on make up. Because i own so much make up and beauty products and typically have 2 or 3 of each product i very rarely run out, however when my high end base products run out (which usually happens at the same time!) i can tell the difference when i reach for different/cheaper products. 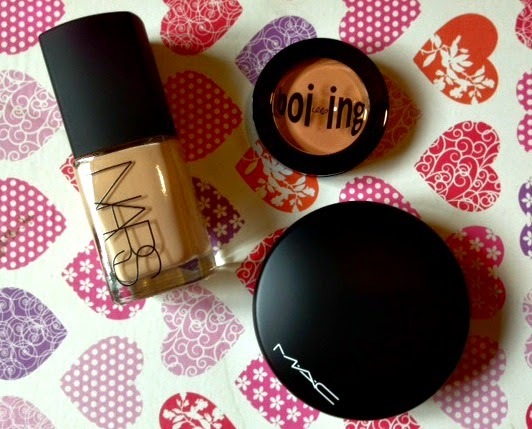 I have repurchased these three products many many times, i have gone through countless bottles of NARS Sheer Glow and the MAC Mineralize skinfinish natural and i always, always come back to them. They are my absolute favourites and have been now for a good few years, pricey, but i recommend that to absolutely anyone that comes my way. I think this is the third time i have repurchased the Benefit Boi-ing. 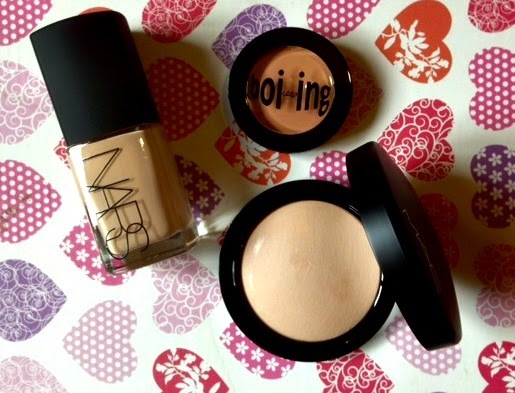 Theres a fair few concealers that i like, the Bobbi Brown creamy concealer is one of my faves as is the Benefit Fake Up (which i had last) so as i was making a ASOS order i went for the Boi-ing, but all three i rate highly! As im going on holiday at the end of the month (I bet you're sick of me banging on about this now!) I opted for slightly darker shades that i would usually tend to go for, not massively though as i can always darken with bronzer. Its also worth the new packaging of the MAC MSF, it now comes in a black compact with a mirror, so definitely an added bonus with the same amount of product as before, im impressed! It pains me when all three base products run out at the same time as its over £70 each time, wowsers! And to be quite honest with you, they dont even last me that long to be honest, but the amount of times i have repurchased each just shows how in love with them i am, believe me i have tried cheaper alternatives but they just dont cut it with me. Have you tried any of these products? Any foundation/concealer/powder recommendations? 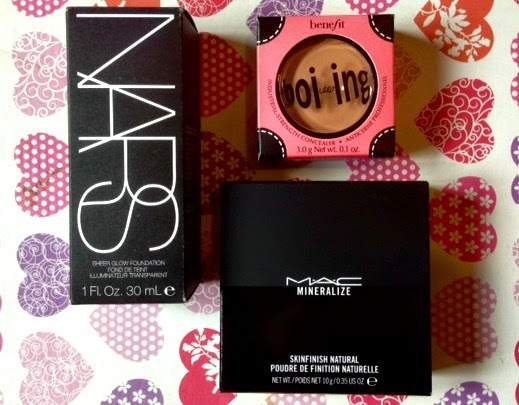 "It pains me when all three base products run out at the same time"
Yes, I can't agree enough! Makeup is such an expensive investment haha! NARS sheer glow is a lovely foundation! I defiantly need to invest in a new bottle! I got Nars sheer glow. For me it give a lovely finish but some time it also looks a bit cakey on my face. I think the best way to apply it is using buffing brush. i think you're so right, sometimes the expensive products are worth it when it comes to things that you use everyday like foundation & concealer. i still often go for the cheap products that just don't stay on very long and i think i need to take a leaf out of your book!! I'll be honest, the first thing that crossed my mind reading this was "You ran out of MAC MSF? Amazing!". I've had mine for years now and I don't see any hope of hitting pan anytime soon. Lol. It's great that the MSF now has a new and more convenient packaging with the mirror and all.